Whether it's the middle of summer or the dead of winter, sometimes you just want to escape to an island paradise. 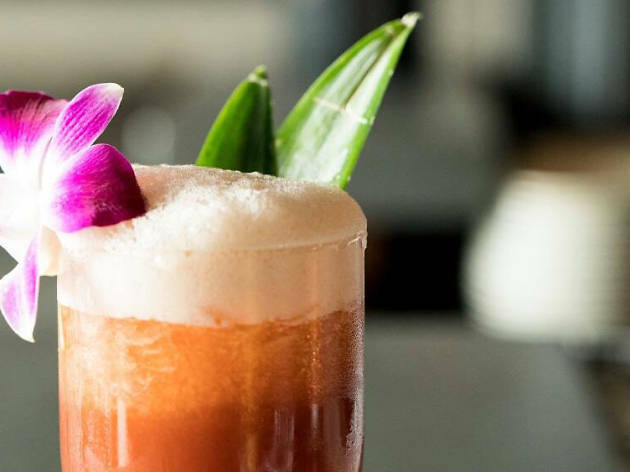 Chicago's got some of the best cocktail bars with phenomenal tiki programs with rums galore and garnishes that'll transport you to that private island you've so been dreaming about. Remember this list the next time you tire of going to the same breweries or sports bars. 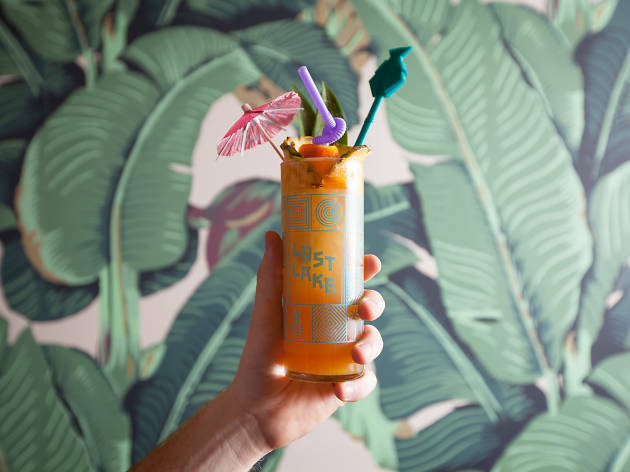 Lost Lake may be one of the newer tiki spots on this list, but its spot at the top is well deserved. It opened in 2015 after Paul McGee left Three Dots and a Dash to work for Land and Sea Dept., which we're more than happy about. McGee's put together a list of cocktails that range from an approachable banana daiquiri to more complex cocktails that combine multiple rums, Scotches and sherries. The cocktails come in personal sizes and also large-format shareables, all with cups you can purchase to take some tiki home with you. Exhausted the main cocktail list? 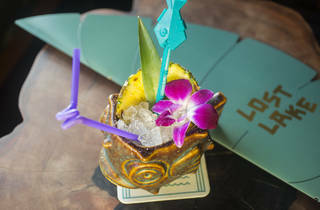 Ask for the long whisper menu, built out with plenty of cocktails, both classic tiki recipes and new favorites. 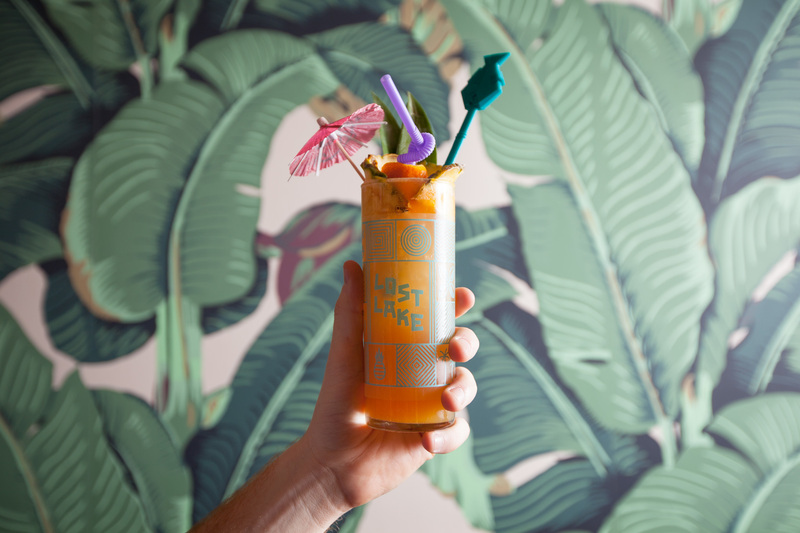 But whatever you drink at Lost Lake, you're sure to enjoy it—it is tiki, after all. 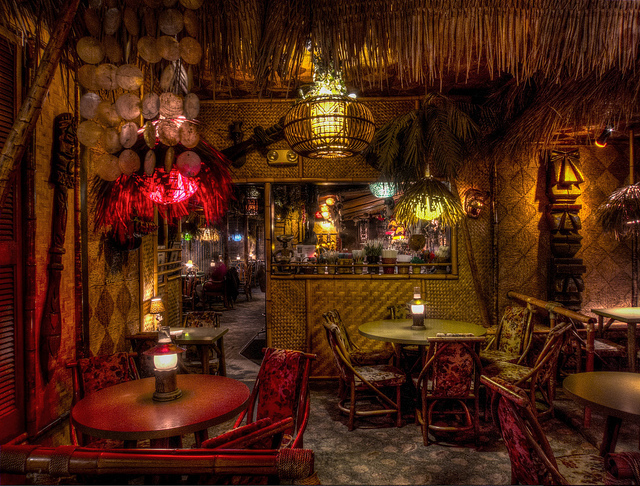 Lettuce Entertain You's tiki bar appeals to its River North clientele expertly. The entrance to the bar is in an alleyway and you walk down a long set of dimly lit stairs lined with skulls to get in—but once you're there, the dark oasis is filled with tiki decor and drinks that are boozy as hell. 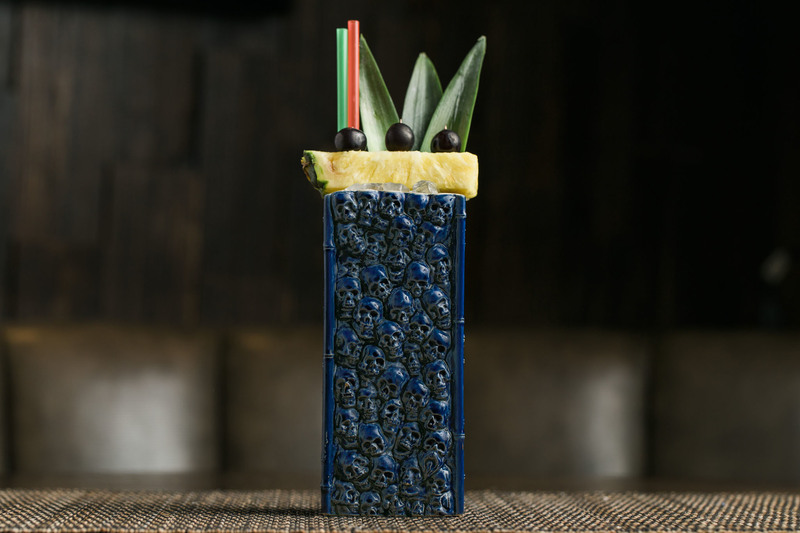 Beverage director Julian Cox fills the menu with tiki standbys and new takes on drinks that are all guided by your taste on the menu. Looking for something refreshing? Grab the Surf Report, with foam and in a surf-shaped mug. Want a classic? Go for the Three Dots and a Dash, in a tall skull wall glass (our favorite). 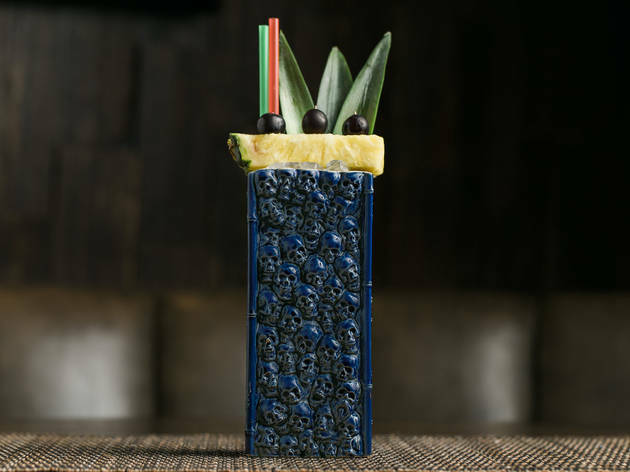 Groups should grab a large-format cocktail like the Zombie, a fruity and spice–filled punch bowl with a fiery garnish. On most evenings, Ward Eight is a typical cocktail bar (a very good typical cocktail bar). 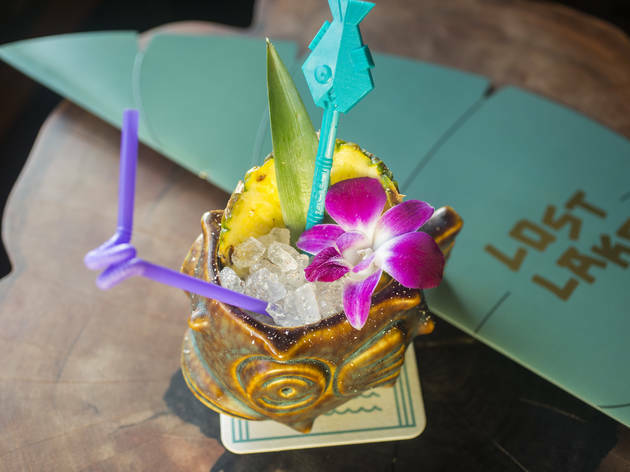 But on Tuesdays, the bar turns into a tiki paradise, with a totally different menu, which is encouraged by all the bartenders to anyone who happens to stumble in unaware of their new tiki surroundings. For those who want their tiki light, this is a great introduction to rums and agricoles. 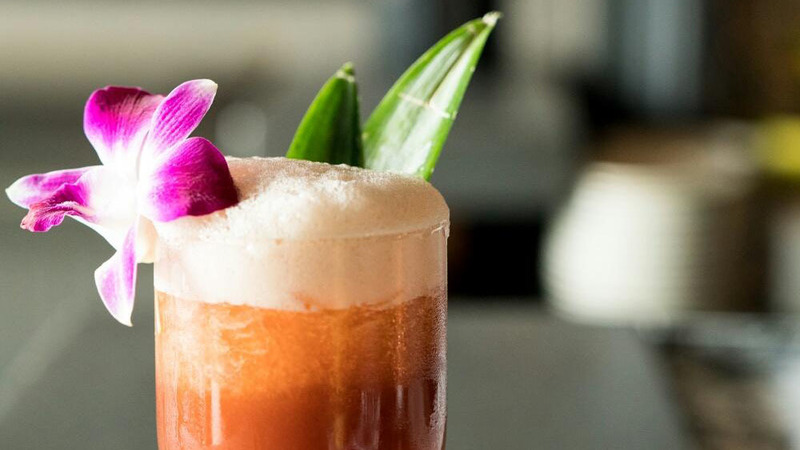 Grab a rum old-fashioned to try something familiar or grab our favorite, the Queen's Park swizzle, to enjoy the evening at this Evanston bar. 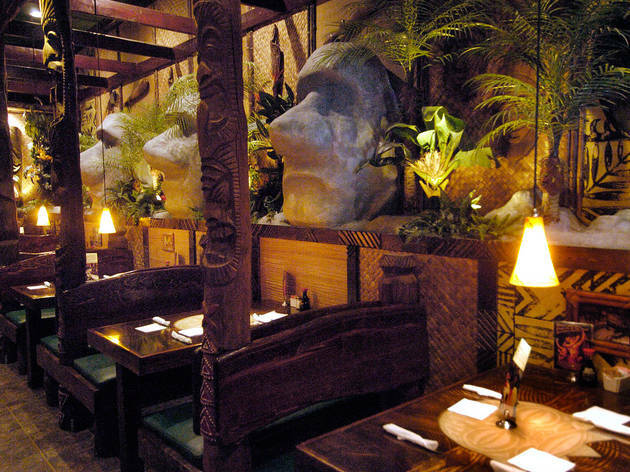 It’s hard to re-create the magical paradise of Hawaii in a strip mall in Des Plaines, but Tiki Terrace gives it a valiant effort. 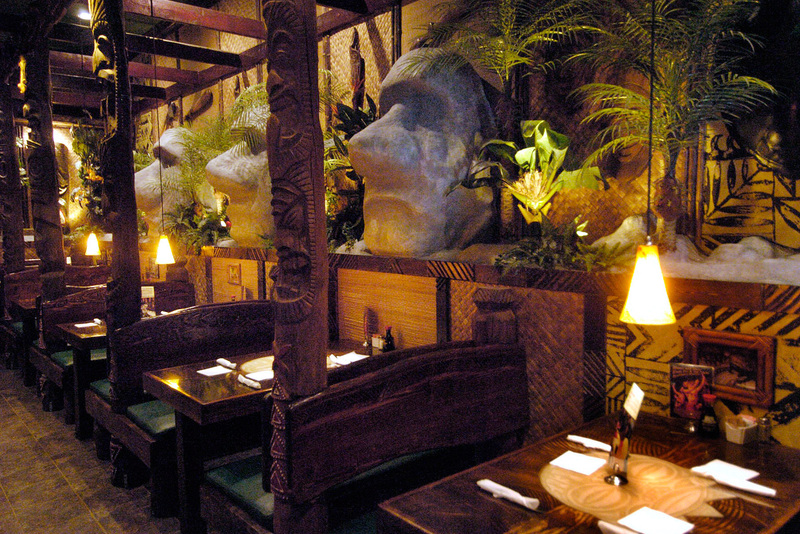 From the thatched-roof tiki bar to the enormous Easter Island statue heads scattered throughout the space, the island theme of this kitschy spot is hard to escape. Come during the week or for a weekend lunch if you’re dying for a Spam burger—you won’t find it on the Friday- or Saturday-night menus, when guests pay $21 for a cheesy, hula-heavy island-themed show and one of a preselected group of entrées (fried coconut chicken, fried mahi mahi). Skip the fried stuff and opt for the kalua pig with a side of taro chips and a delicious tropical cocktail. The drink—combined with your tempered cynicism—will allow you to appreciate the Terrace as a fun birthday spot or staycation escape.